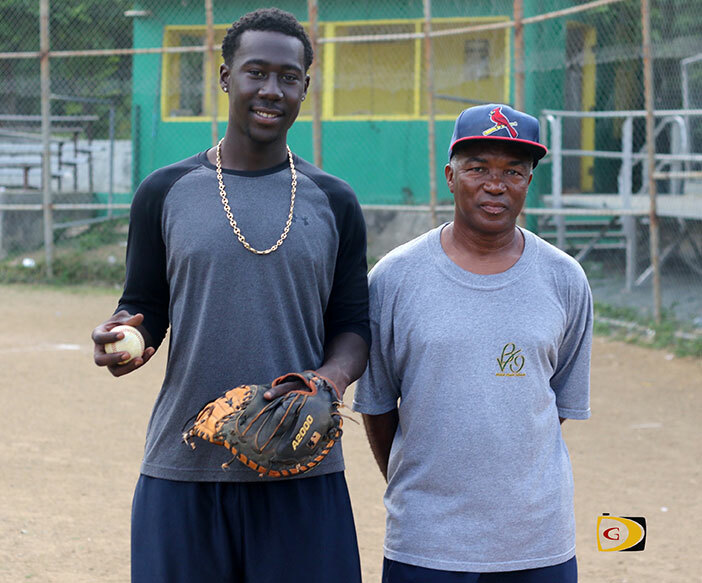 Shamoy Christopher, 18, became just the third BVI player to be drafted by a Major League Baseball team, when he was selected by the Minnesota Twins in the 20th round and the 603rd player selected over the weekend. Christopher joins Andre “Shabba” Pickering, an infielder who was drafted by the Chicago Cubs in the early 1980s and Jeremey Penn, who the Los Angeles Angels wanted to sign as a free agent the day after he graduated from the Elmore Stoutt High School in 2007 for $40,000. He was drafted by the Phillies in the 50th round of the 2007 draft and in 2008, the San Francisco Giants drafted the right handed pitcher in the 37th round. He went on to Western Oklahoma State College before being injured. On Monday afternoon, he was working out at the E. Walwyn Brewley Softball Park and recalled that it was former St. John resident Terry Chinnery—better known as Chino—who got him started as a four-year old. Christopher described it as a ‘huge transition’ going from the BVI with limited opportunities and games, to playing high school and college baseball in Tennessee. Chinnery recalled his mon coming to practice with the Hawks softball team from Sea Cows Bay, when he began working with Christopher.